Craigslist is an online “classifieds” advertisement listing, acting as an exchange of information for buyers and sellers of various items, jobseekers, service seekers and more. It became popular for creating a convenient, cost free way to trade. However, through the growth of Craigslist, as well as other online websites with similar objectives, there are also various dangers related with them, most often through meeting up for exchanging of items or deals. If you do make use of Craigslist, it’s important that you’re aware of some of the dangers, as well as how to use it safely and protect yourself from those dangers. Robberies through Craigslist became more frequent as the number of users began to increase. Buyers and sellers would plan to meet up, and the buyer would end up robbing the seller of the item, or the seller robs the buyer of cash. There have been tragic cases of murders whereby “buyers” turn out to be unsavory, dangerous characters who are contrary to their online profiles. Besides for these dangers, meeting up with someone from the internet in itself poses many dangers – robberies are only one but one of them. 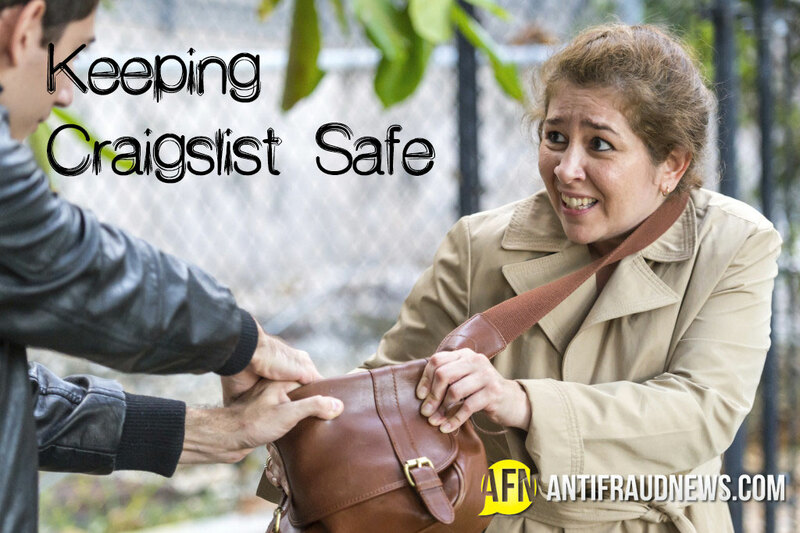 Whether you are a buyer or the seller, there are precautions which you should always take when using Craigslist. Do not meet anyone without a phone number and an address to meet at. Check the address out, and check the seller/buyer out as well – search them on Facebook as well doing a Google search. You can never be too safe! If a seller does not provide a phone number there should be major suspicions in your head! When you are a buyer, if the deal sounds too good to be true, it probably is. It’s an easy portal for scams, to sell stolen goods or used items as new items. If it an expensive item which you are buying, especially electronics, arrange to first check the item out before agreeing to buy it. This ensures you have a chance to decide whether the deal is worth it, and protects you from potential robbery – if you meet the seller with cash on you, and change your mind, it’s a risk for you to be robbed of your cash. Also always ask questions, such as why the person is selling the item and where they got it from. ALWAYS meet in a public place, NEVER go alone, and never go to a secondary location (when the seller/buyer changes location on the last minute). Criminals are less likely to do anything when there are people around and you have protection with you (i.e. someone to accompany you). Always show up early so that you can scope the area, and check if things seem legit. This gives you a chance to abandon the sale before something bad can happen. Always carry a weapon of protection just in case, whether a gun, pocket knife or pepper spray! The police force in the City of Fairfax in Virginia recently became pro-active and began encouraging people to use the police station as an exchange zone. You should definitely try this out if you make use of Craigslist – using the police station as an exchange zone ensures a high level of protection, as there are most often cameras outside of the station, and should something dangerous happen, there will be officers nearby to assist you! While using Craigslist has many benefits, for your own safety, you should always remember these tips when making online exchanges!